Combine all ingredients, mix, cover, and refrigerate. On each skewer place lamb, pepper, pineapple, repeat. 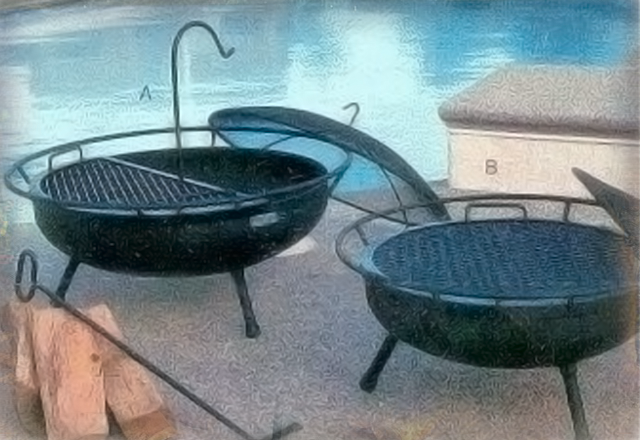 Reserve ½ cup of marinate for basting on grill. Put skewers in a glass pan and cover with marinate. 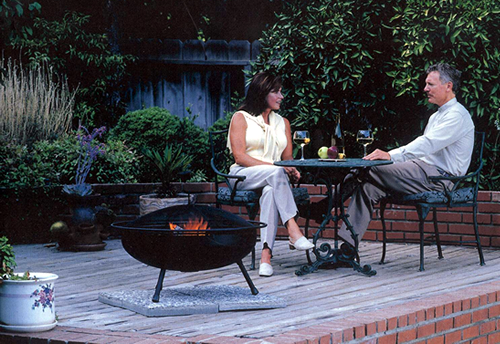 Enjoy the warm glow of an open fire around The California Firepit™. Friends and family will be drawn to the charm and utility of this California favorite. 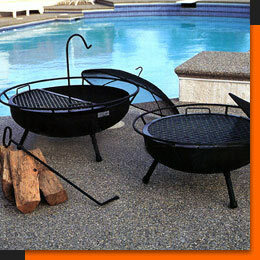 Perfect for get-together's of just to unwind. 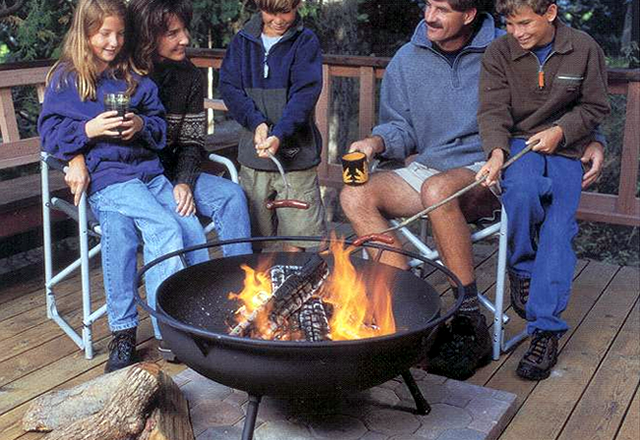 The California Firepit™ offers the function of a BBQ with the experience only an open fire can provide. 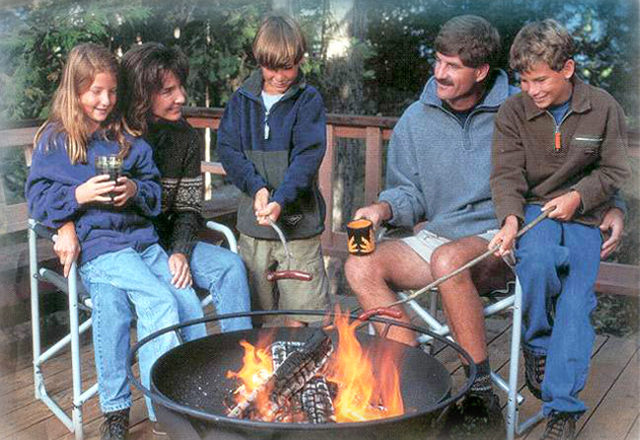 "We purchased our first Old West Firepit in the mid-seventies and are still loving it today. 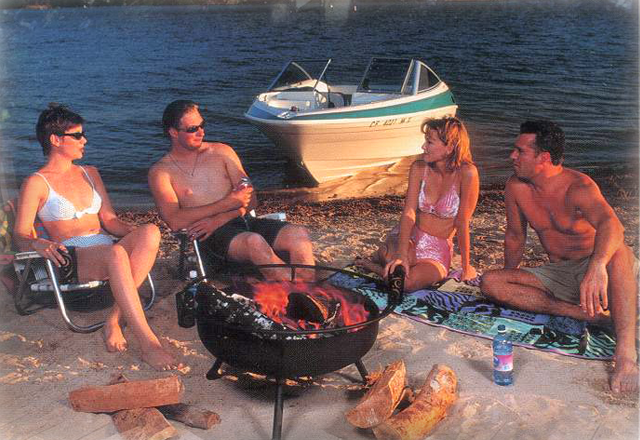 Over the years we have purchased another 10-12 units as gifts for friends and family. The price has gone up, but the quality has stayed true. Keep on manufacturing this quality product in the USA. Jim & Betty W., Rancho Mirage, CA"